Welcome to this immaculate 3 bedroom 2 bath home located in the highly sought out neighborhood of The River Club. 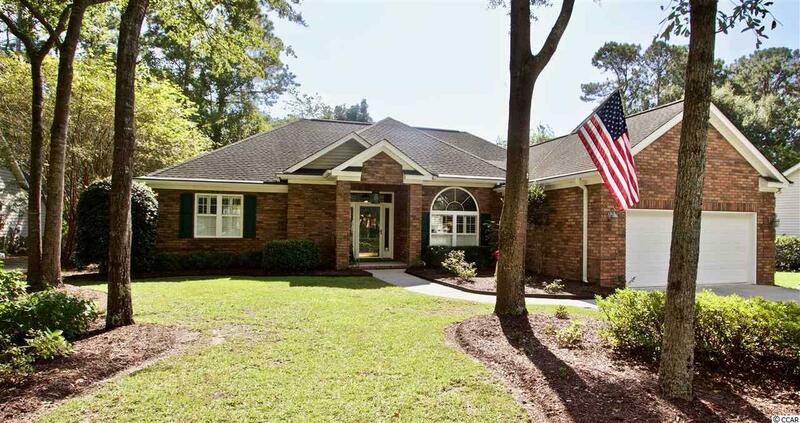 This turn key ready home offers a spacious floor plan with lovely hardwood throughout. In the kitchen you will find a beautiful high top breakfast bar, stainless steel appliances, and plenty of cabinet space for ample storage. The master bedroom is very welcoming and the master bath offers a relaxing garden tub and walk in shower. This home provides a large screened in porch perfect for enjoying the beautiful South Carolina Weather all year round. The River Club is a gated community in the heart of Pawleys Island! You are with in minutes from the beach, hammock shops, and dining.